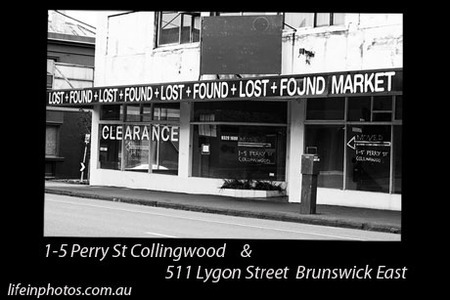 Lost and Found Markets has grown and now has two locations 1-5 Perry Street Collingwood and 511 Lygon Street, Brunswick East. On my recent visit to Melbourne I couldn't resist taking a photo of the old location of these markets in Smith Street. You will find art, fashion, books records, vintage stuff, general bric a brac and other things to have a good dig around in.